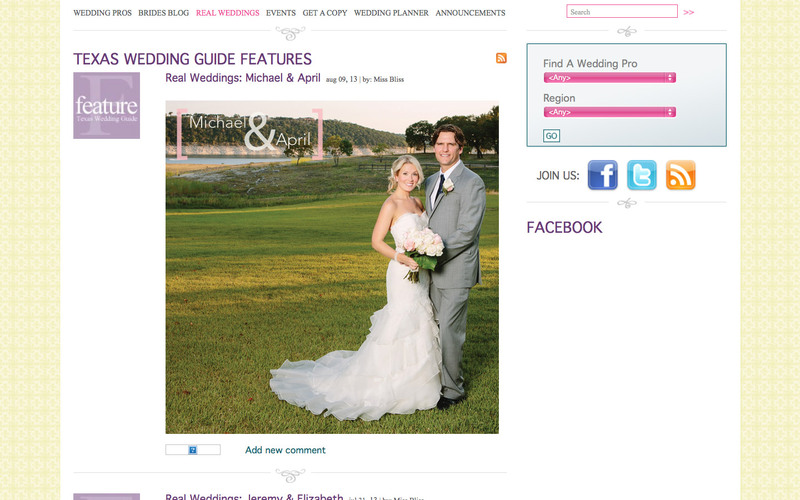 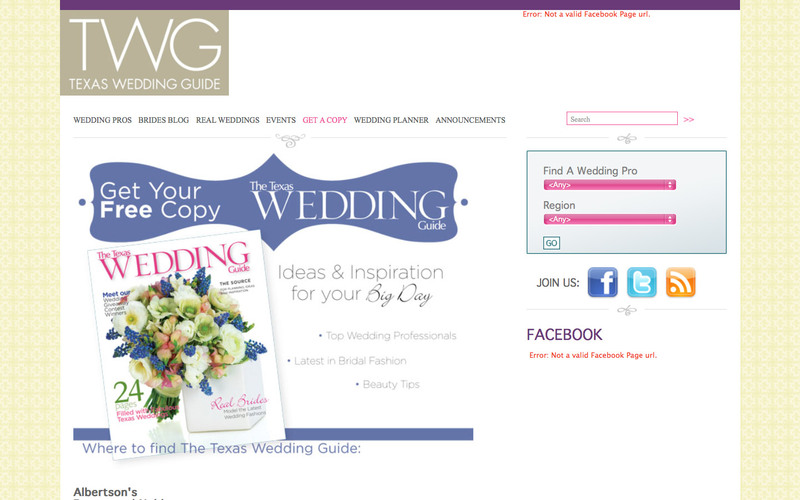 The Texas Wedding Guide is a print and online wedding magazine targeting brides-to-be. 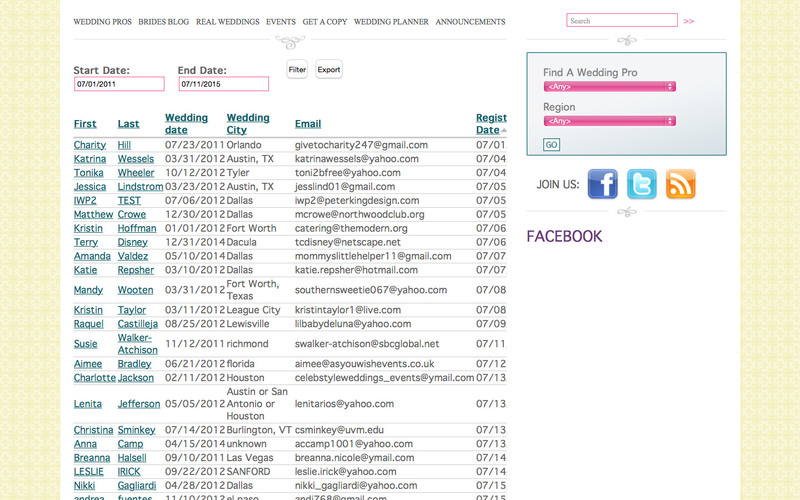 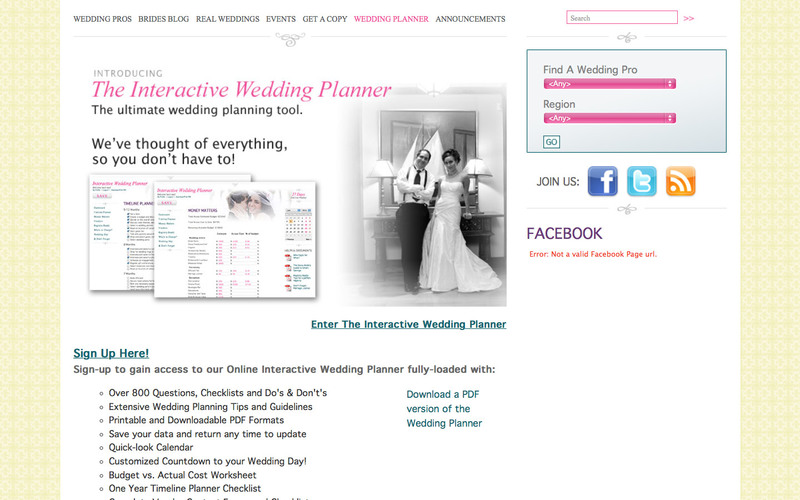 The Website offers numerous custom applications and lead generation tools for advertisers, “Wedding Pros”, on the site. 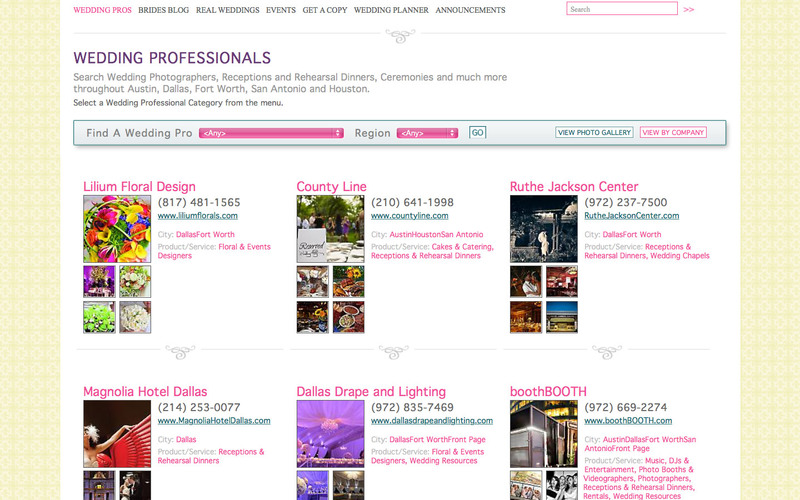 The “Find a Resource” section offers a sortable gallery showcasing each advertising company’s photographs, contact information, and descriptions. 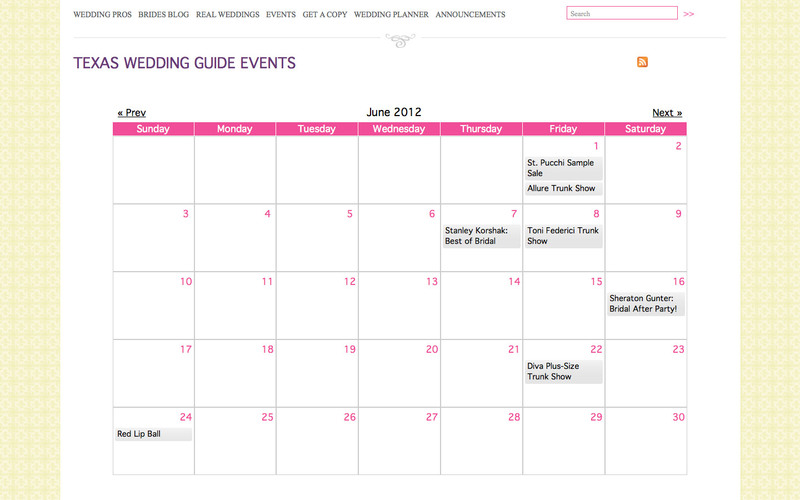 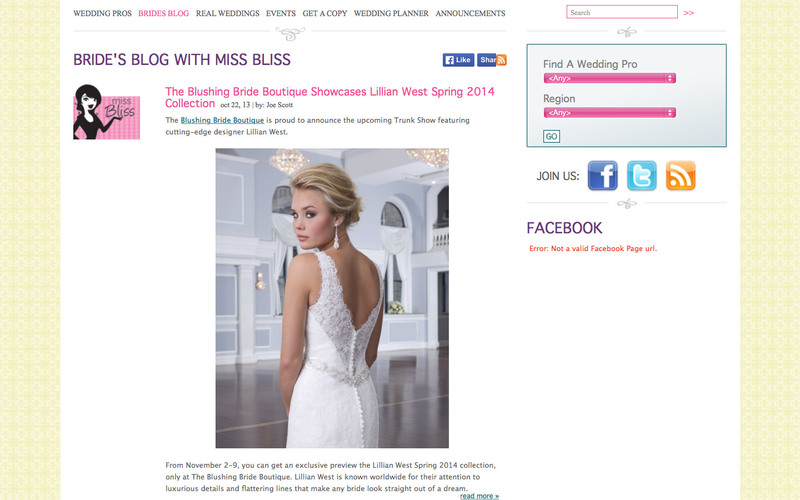 The site has several blogs, featuring “Miss Bliss”, and also includes wedding profile features. 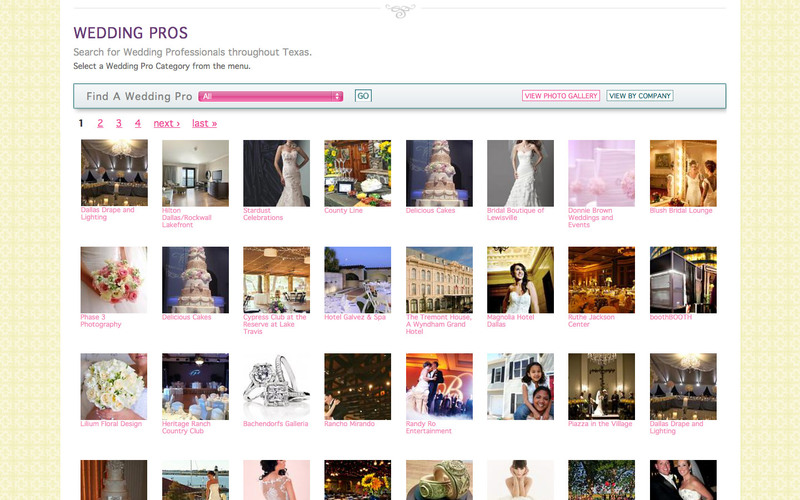 There are many custom tools including an extensive interactive wedding planner tool, wedding/bridal contests, banner advertisements, and user sign-up and tracking tools to see who visits the Wedding Pro pages and advertisements.